In my last year on Wall Street my bonus was $3.6 million — and I was angry because it wasn’t big enough. I was 30 years old, had no children to raise, no debts to pay, no philanthropic goal in mind. I wanted more money for exactly the same reason an alcoholic needs another drink: I was addicted. Eight years earlier, I’d walked onto the trading floor at Credit Suisse First Boston to begin my summer internship. I already knew I wanted to be rich, but when I started out I had a different idea about what wealth meant. 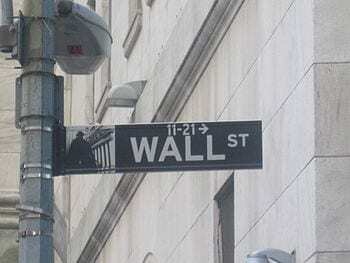 I’d come to Wall Street after reading in the book “Liar’s Poker” how Michael Lewis earned a $225,000 bonus after just two years of work on a trading floor. That seemed like a fortune. Every January and February, I think about that time, because these are the months when bonuses are decided and distributed, when fortunes are made. I’d learned about the importance of being rich from my dad. He was a modern-day Willy Loman, a salesman with huge dreams that never seemed to materialize. “Imagine what life will be like,” he’d say, “when I make a million dollars.” While he dreamed of selling a screenplay, in reality he sold kitchen cabinets. and not that well. We sometimes lived paycheck to paycheck off my mom’s nurse-practitioner salary. Dad believed money would solve all his problems. At 22, so did I. When I walked onto that trading floor for the first time and saw the glowing flat-screen TVs, high-tech computer monitors and phone turrets with enough dials, knobs and buttons to make it seem like the cockpit of a fighter plane, I knew exactly what I wanted to do with the rest of my life. It looked as if the traders were playing a video game inside a spaceship; if you won this video game, you became what I most wanted to be — rich. IT was a miracle I’d made it to Wall Street at all. While I was competitive and ambitious — a wrestler at Columbia University — I was also a daily drinker and pot smoker and a regular user of cocaine, Ritalin and ecstasy. I had a propensity for self-destruction that had resulted in my getting suspended from Columbia for burglary, arrested twice and fired from an Internet company for fistfighting. I learned about rage from my dad, too. I can still see his red, contorted face as he charged toward me. I’d lied my way into the C.S.F.B. internship by omitting my transgressions from my résumé and was determined not to blow what seemed a final chance. The only thing as important to me as that internship was my girlfriend, a starter on the Columbia volleyball team. But even though I was in love with her, when I got drunk I’d sometimes end up with other women. Three weeks into my internship she wisely dumped me. I don’t like who you’ve become, she said. I couldn’t blame her, but I was so devastated that I couldn’t get out of bed. In desperation, I called a counselor whom I had reluctantly seen a few times before and asked for help. She helped me see that I was using alcohol and drugs to blunt the powerlessness I felt as a kid and suggested I give them up. That began some of the hardest months of my life. Without the alcohol and drugs in my system, I felt like my chest had been cracked open, exposing my heart to air. The counselor said that my abuse of drugs and alcohol was a symptom of an underlying problem — a “spiritual malady,” she called it. C.S.F.B. didn’t offer me a full-time job, and I returned, distraught, to Columbia for senior year. April 18, 2019 - For The Love of Money The RootMy friend Toni and I text a lot and for good reason. We are the same age. We divorced young. We have small children. We work together. April 16, 2019 - Lesko Financial: "Tough Love" Money Apps WICZTranscript of Thursday's April 18, 2019 Lesko Financial segment that aired on Fox 40 News at 6. April 18, 2019 - Pro sports bettor posts perfect 'Jeopardy!' game, wonders about future wagers in Vegas Yahoo SportsJames Holzhauer added another $131000 to his 10-day winnings courtesy of a perfect game.